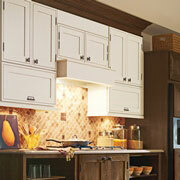 ProSource® of Baton Rouge assists trade pros and their homeowner clients to create the perfect kitchen space for. From start to finish, our expert team members strive to supply the highest quality products at wholesale prices. Not only do we offer the best products, but we also provide expert design consultation to ensure success. When it comes to the personality and feel of a kitchen, the cabinets set the mood. Whether you go with a classic wood or a modern metal, we can help you find the perfect cabinet set up for your dream kitchen project. 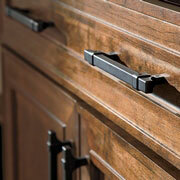 Cabinet hardware enhances the overall influence of kitchen cabinets in the space. Whether you choose handles, knobs, pulls, or otherwise, we can help advise which is the optimal choice to achieve perfection in the kitchen. The kitchen countertop is what brings people together. Counter space is used for cooking, talking, eating, entertaining, and more. If you want to make a statement in the kitchen, the choice of countertop is pivotal. 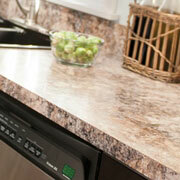 Consider options such as marble, quartz, or blended and recycled material. The kitchen sink is the epitome of function. It provides a space to place and hand-wash dishes while also tying together the countertops. Depending on your specific sink needs, we offer single, double, and custom bowled sinks. 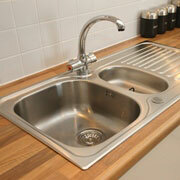 Gone are the days where you chose a fantastic sink and get stuck with a generic faucet. 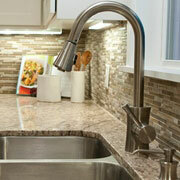 Our Baton Rouge showroom provides a vast assortment of kitchen faucets from standard to multi-functional.